In this day and age, using a computer can be dangerous if you don’t have an antivirus on it. There’s so much important content on our devices that, if we were to lose it all, we’d be in a very tight spot. Everything, starting from private photos, work documents and so on, would be compromised for good. Hackers have a field day whenever one of us uses an unprotected PC, tablet or smartphone. Things can get so ugly, that our lives can be affected for the absolute worst. We tend to take many things for granted. Some of them are our personal computers, smartphones and tablets. What this means is that we buy one of these devices, and then put our trust in their in-built firewall and other security features. Which we should never ever do, because they’re not enough to protect our precious gadgets. Nowadays, people who create malware, viruses and so on have become very good at what they do to harm us. Malicious software is everywhere and it’s gotten really hard to be rid of it with just a firewall. It can be worse if you’re a small or medium business with more than 15 employees who keep very important files on their computers. Company workstations and servers require a very strong security solution. Once each of them has a powerful antivirus on it, you won’t have to pay big money on retrieving lost documents. As soon as your IT team picks a certain security suite, they’ll need to manually install it on every PC in the company. To avoid problems, the best thing to do is to select an enterprises security option or a custom solution for small and medium businesses. Computers will be monitored remotely, so if there’s an issue with one of them, a quick solution will be available. The price you pay to install security software for your business is considerably lower than if you were to get a home antivirus solution. In short, it’s a win-win situation: crucial data is kept safe at a very good price. Today we’re taking a look at some of the best antivirus software for small and medium businesses (SMBs). We’ll start with Kaspersky Small Office Security for Business. Kaspersky have always excelled at their job. The company’s antiviruses have managed to score very well in many tests. When it comes to assure your work PC against dangers, the Endpoint Security for Business 2019 is the right choice. The management features on this particular antivirus are extensive and very efficient. You have multi-layered protection from many aggressive cyber attacks. Detection rate is one of the best around. Once the software finds something suspicious, it will move it to quarantine, if that’s what you want, or delete it on the spot should you choose that. The antivirus is very easy to use, too. It incorporates big data threat intelligence and you can be sure nothing important is stolen from your computer. You’ll be able to control every single PC on your network at the same time. The Kaspersky Endpoint Security for small and medium Business features anti-ransomware and one of the best antimalware protection from the market. Your work computer isn’t going to slow down once this product starts its job. Your sensitive data is going to be protected at all cost. System management efficiency will receive a significant boost. Work emails will no longer be filled with spam. Browsing the Internet is going to become fun again, because you won’t get bombarded with unwanted ads, malicious links and the like. The number of available licenses starts from 5 and is increasing up to 45 protected users or workstations. The business package offers protection for a similar number of mobile devices (for all employees devices) and a variable number of file-servers. For example, for 50 workstations, you’ll receive complete protection for 50 mobile devices. 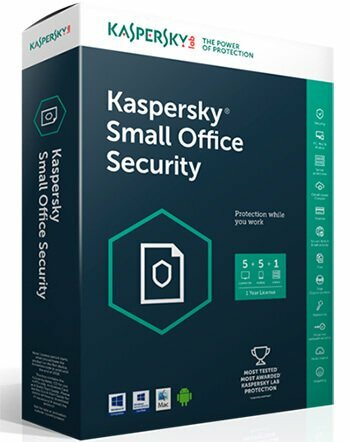 For more details and the price of Kaspersky Small Office Security (depending on licenses number), use the calculator available here. For companies with more than 50 employees, we recommend one of the superior antivirus protection packages from this page. You can choose between Cloud Endpoint Security, Select Endpoint Security or Advanced Endpoint Security for Business. All these packages can cover a number of users between 10 and 150. For a small or a medium size business, any Kaspersky’s Endpoint Security packages should be enough for all employees protection. The second security product for small business we recommend comes from Bitdefender. It goes without saying that the team behind this one put a lot of effort into it. This means the best protection on all fronts, which for a company can be the difference between staying safe and losing all major data. The Bitdefender GravityZone Business Security is the perfect companion to your work computer or laptop. This particular antivirus is user-friendly and maintenance costs are kept at a minimum. Also, this security suite is easy to install and use. 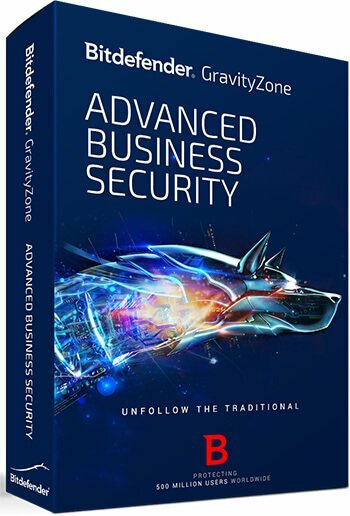 With the GravityZone Business Security for small companies from Bitdefender, you get the sort of product which protects against all kinds of threats. Here are some of them: phishing attempts, web threats, rootkits and viruses. Malware will be kept at bay via the software’s application control. Go to the main dashboard and you’ll be able to seamlessly customize portlets. If you’ve ever wondered if this website or that one is dangerous, the antivirus will quickly let you know. More than that, you can always change the management console if you want to. After the installation is all done, you’ll be greeted by a friendly user interface. It’s easy to navigate and, if you don’t understand something, you can go to the Support option. Detection rate is as smooth as it was with the Kaspersky Endpoint Security for Business. Bitdefender GravityZone Business Security 2019 protects up to 50 devices, enough for a small or medium business. The package can also offer complete protection for up to 15 servers. You can use this tool to calculate yourself the number of licenses necessary for the company and the total price of the package. ESET have another excellent product that protects medium and small companies. It comes in the form of two different versions: Endpoint Security Standard and Endpoint Security Advanced. These security solutions offer remote management and include every single one of the features from the ESET Endpoint Antivirus. Apart from these, ESET products also come with Botnet Protection, Web Control, Two-Way Firewall, and so much more. 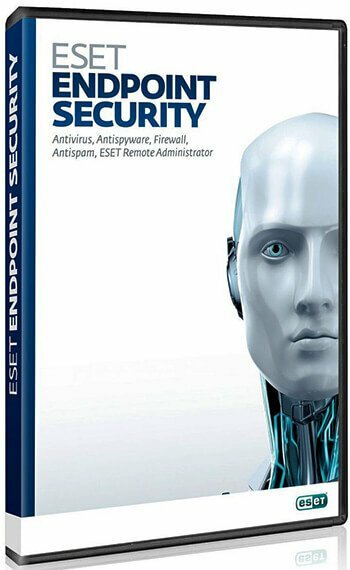 The antivirus module developed by ESET and integrated in the Endpoint Security solutions offers protection against ransomware, viruses, malware, and spyware. The Endpoint Security is equipped with protection solutions for both Windows-running computers, as well MacOS-operated devices. The Endpoint Security includes a solution that identifies phishing threats. It can keep you safe from landing on fake websites with forms that ask you to fill them in with your company’s sensitive data, like passwords and usernames. Other features included in this module are Device Control and Cloud-Powered Scanning. If you use mobile devices running Android or iOS, the ESET Endpoint Security can help you with remote management. You can block the installation of dangerous applications or monitor what happens with lost or stolen devices. The Anti-Theft technology lets you block, unblock, or delete sensitive company data from every stolen mobile device remotely. The Server Security option featured on ESET security solutions allows you to save, via dedicated servers, every piece of critical company information that needs a backup. By enabling this feature, you can be sure that no company data will end up in someone else’s hands or get destroyed by accident. If you need virtualization, the ESET Endpoint Security can also help you protect machines that use it. This top-rated product integrates a complete management and protection suite for computers running both VMware, and other virtualization solutions. Depending on how many licenses your company needs, you can calculate the costs needed to buy ESET products on your own. The Endpoint Security Standard requires the use of this tool. To estimate the total cost for the Endpoint Security Advanced, you need to use the price calculator offered by ESET here. Last, but not least, we suggest trying the Avast Endpoint Protection Suite Plus. The Czech company knows how important small and medium businesses are in 2019. As such, they created this antivirus to offer complete protection for your company’s computers and servers. Important emails and documents no longer run the risk of being damaged. The software comes with several invaluable features. Remote management for all workstations, file server protection, Windows 10 support and a firewall are only some of them. You’re also offered updates and scheduled scans. The productivity of the company is greatly improved with the Avast Endpoint Protection Suite Plus for small companies, because users are covered. A couple of management console options will make things even better. They’re called Enterprise Administration and Small Office Administration. Once this antivirus roams free on your servers and business PCs, you can bet the latter are going to be fully protected. The technologies used by this security product are complex. They have to be, otherwise you wouldn’t enjoy safety at work. Avast Sandbox and Behavior Shield are only two of them. Its File Reputation System is particularly useful. You’ll be notified at once if a file you want to open is safe or not. The phishing and spam filters are also noteworthy and strong. As the previously described antivirus solutions for small and medium business, Avast Endpoint Protection Suite Plus can be purchased based on your company’s needs. The minimal package offers top-notch protection for five devices. If you need best rated protection for a bigger number of desktops and servers, you can choose exactly the number of licenses using this calculator. The licenses can be used for workstations or for file servers. 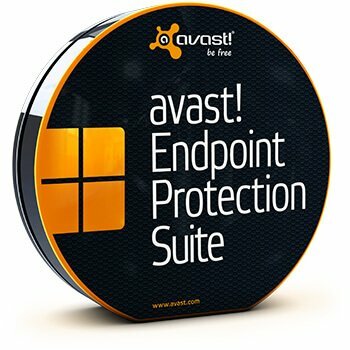 Whether you choose Avast Endpoint Protection Suite Plus, ESET Endpoint Security, BitDefender GravityZone Business Security or Kaspersky Endpoint Security for Business and you decide to work with one of these solutions, your small or medium company will benefit from the best antivirus protection.